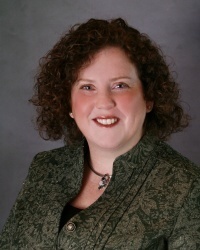 Editor's Note: I'm pleased that Della Rucker -- who joined the Planning Commissioners Journal as a contributing writer last year -- will be continuing as a regular columnist for the PlannersWeb. 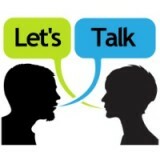 Her new column is titled "Let's Talk." “Crowdsourcing” is one of the most powerful concepts in business over the last decade. Crowdsourcing uses internet tools to recruit ideas, and in many cases actual designs and products, from a pool of dozens or thousands of people who care passionately about that topic. Wikipedia is one of the best known examples, but another good example is Threadless, where anyone can submit a T-shirt design and the company pays the designer on the basis of how many people buy that T-shirt. You would think that in the local government context, we would have crowdsourcing wrapped up. After all, everyone involved with planning and economic and community development has been doing “public participation” since anyone can remember. But our “public participation” is often little more than lip service to that idea -- hardly effective, and nowhere near the power that Wikipedia and Threadless would indicate are within our grasp. Instead of doing “public participation” that actually makes our plans and our projects better, we have an unfortunate history of relegating people to a couple of predetermined alternatives. Or we claim that we are doing “public participation” through a forum -- typically an “open mic” meeting, where often the only people we hear from are those who love to hear their voices reverberate -- or have an axe to grind. Your sweet grandmother says nothing because she is deathly afraid of public speaking, and your smart aunt who always has good ideas stays away entirely because she doesn’t want to waste her time listening to the crackpots ramble. No wonder we have trouble getting people to show up for meetings. 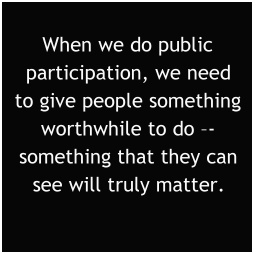 When we do public participation, we need to give people something worthwhile to do – something that they can see will truly matter, will produce something of value. We need to get them involved in grappling with the same issues we are facing. We need to empower them to struggle with the tradeoffs that we know are necessary, and we need to give them the chance to play a meaningful role in finding real solutions and making concrete recommendations. Since they may not know how to do it or where to start, we need to give them a structure in which to work. We need to guide them in the process and take away the barriers, like fear of public speaking, that keep people from participating. We face complex, challenging issues, and we need the expertise and insight of the full range of people who might have a solution or a beneficial perspective. And we have to do this within a national political environment that tells us to oversimplify issues for dramatic impact, to demonize those that don’t agree with us, and to assume that the one who yells loudest wins. We need to rethink and restructure how we engage the community before that failed approach drags us under. This column for PlannersWeb will focus on methods for crowdsourcing wisdom from our communities to help us make our plans, our regulations and our public decisions better. We will talk about ways to make meetings more beneficial, get constructive feedback on proposals, and use online tools to help reach more people, more effectively. Most importantly, we’ll be exploring this together, I encourage you to use the comment function at the bottom of the page of any of my upcoming columns to start a dialogue. I’m looking forward to seeing what we discover together. 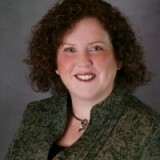 Della Rucker, AICP, CEcD, is the Principal of Wise Economy Workshop, a consulting firm that assists local governments and nonprofit organizations with the information and processes for making wise planning and economic development decisions. 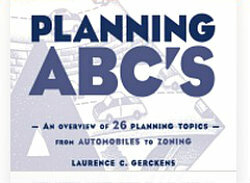 Rucker is also Managing Editor of EngagingCities and author of the recent book The Local Economy Revolution: What's Changed and How You Can Help -- portions of which will be serialized here on PlannersWeb.com during 2014. See related article by Gwen Hallsmith: How Wise Is Your Crowd?